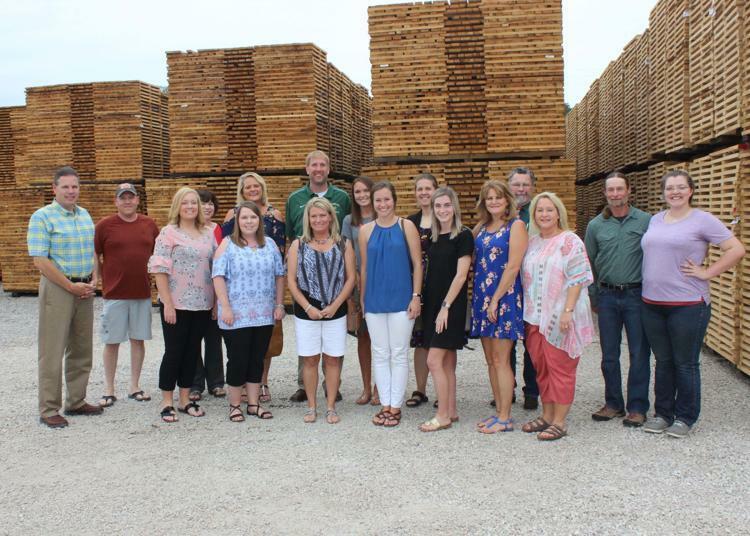 For the past two years, Morehead Wood Products has been funding grants for classroom teachers through its program called ISCO Cares, a charitable giving program established by Independent Stave Company. The Classroom Wish program offers teachers the opportunity to apply for grants to pay for items that they could not otherwise afford for their classrooms. This year, the program funded $18,000 in classroom wishes for teachers in both Rowan and Fleming County Schools. Fourteen teachers from Rowan County Schools’ preschool, elementary schools and middle school received over $12,000 in grants from ISCO Cares/Morehead Wood Products. From left are, front row: Jessica Elliott (THES), Katy Ingles (RCPC), Bridgett Taulbee (RES), Lindsey Smith (CES), Andrea Wallace (MES), Kim Spencer (CES), MES Principal Rhonda Banks; back row: Supt. John Maxey, plant manager Mike Knudson, CES principal Misty Litton, RES Principal Andrea Murray, Matt Stokes (CES), Shelby Halliday (CES), Amanda Mason (RCMS), RCMS Principal Jay Padula, kiln operator Charles Bell and office manager Miranda Jones.